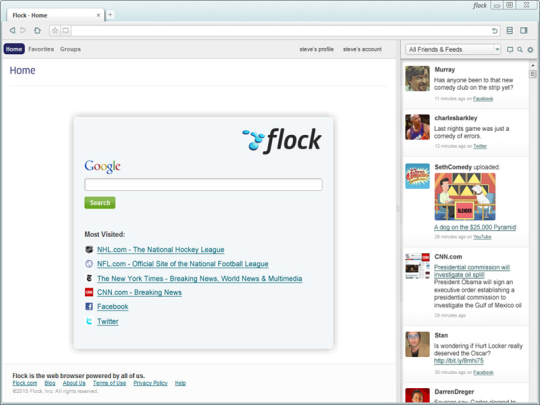 Flock is a browser. The people here at Flock are committed to building a browser unlike anything you’ve ever experienced before – because we start by focusing on user needs. We take pride in solving for common behaviors on the Web that seem clunky today, and will seem ridiculous tomorrow. We’re taking you there. We’re focused on keeping you close and better connected to the people, places and things you love, more informed about the topics that turn you on, and smiling about the way it all comes together. We love nothing more than hearing from users who didn’t know they were experiencing ‘conventional browser fatigue’ until they’ve downloaded Flock..and voila. Their lives get that much better. We’re big fans of the many interesting and innovative sites and services that continue to emerge to keep our online lives interesting. We also share a common vision that your browser should do much more than just get you to where you want to go. It should make sure you don’t miss out on things that are important to you and help you break down any barrier to easily share, publish, discover and communicate, so that you can enjoy the web to the fullest extent possible. If you’re not sold yet, download Flock and get ready to meet your new favorite browser. RockMelt does more than just navigate Web pages. It makes it easy for you to do the things you do every single day on the Web: share and keep up with your friends, stay up-to-date on news and information, and search. And of course, RockMelt is fast, secure, and stable because it’s built on Chromium, the open source project behind Google’s Chrome browser. It’s your browser – re-imagined and built for how you use the Web. With RockMelt we’ve re-thought the user experience because a browser can and should be about more than simply navigating Web pages. Today, the browser connects you to your world. Why not build your world right into your browser? Your friends are important to you, so we built them in. Now you’re able to chat, share that piano-playing-cat video everyone’s going to love, or just see what your friends are up to, regardless of what site you’re on. Your favorite sites are important to you, so we built them in too. Now you can access them from anywhere, without leaving the page you’re on. And RockMelt will tell you when something new happens. Share or tweet links often? Yeah, us too. No more wading through each site’s goofy share widget or copy-pasting URLs. 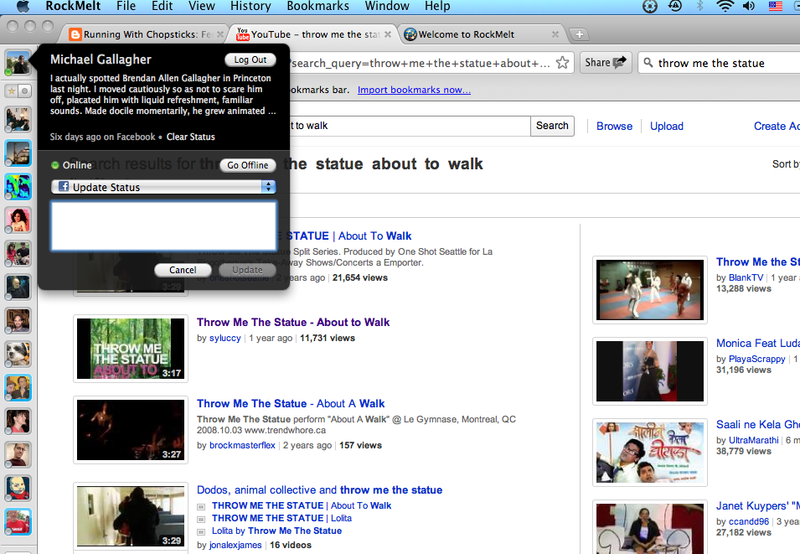 We built sharing directly into the browser, right next to the URL bar. Like a site or story? Click “Share” and BAM – link shared. You can use it on any site to post to Facebook or tweet about it on Twitter. It’s just one click away. That easy. 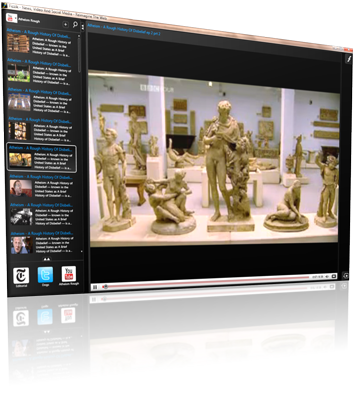 fizzik™ is a browser designed to help you find, enjoy and share the best media on the Web. fizzik™ is waiting for you. Get it today!